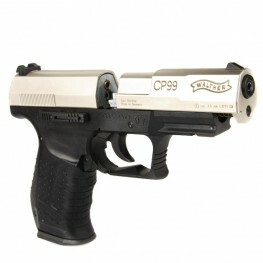 The Walther CP88 CO2 Air Pistol replica is ideally suited for “Action Shooting Target Games”. The outstanding workmanship and the simplified modular system help make this an outstanding choice for bot.. 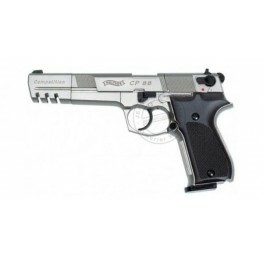 Uses 12-gram CO2 cartridgeSemi-auto8-shot rotary pellet mag Semi-autoOpen sights (adj. rear)Accessory rail for laser or flashlightTextured grip with finger groovesManual safetyThis Item cannot be post.. 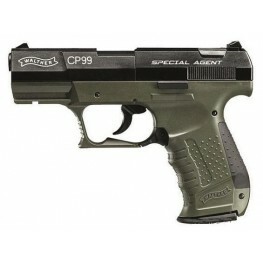 The Walther CP99 has many variants enjoy a huge reputation throughout the world.This model is a new issue military green colouringCaliber ..
Calibre4,5 mm (.177) PelletPower Source12 g CO2 capsuleMagazine Capacity8 shot(s)SafetymanualSightsadjustable for windageMax. energyapprox. 4,0 JouleLength230 mmBarrel length143 mmWeight1150 gSpecial ..
Make : WaltherModel : CP99Calibre : .177Mechanism : CO2Scope : N/ACondition : NewComes With : 2 x 8 shot Mags, Hard CaseThis Item cannot be posted out and will have to be collected from in store..
LOOK FOR the Unique Lines and Distinctive Shape of the P99 replica as a TRADEMARK of Walther. 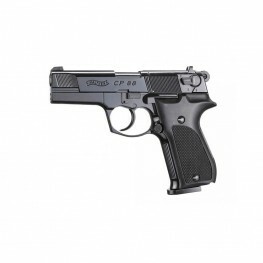 Modeled after the original Walther P99 and once used by the most famous double agent in the world, this 8-.. 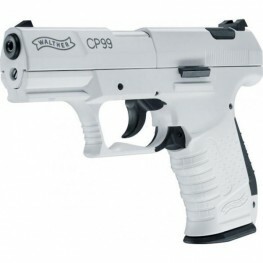 The Walther CP99 now comes in the brand new Snow Star white finish. 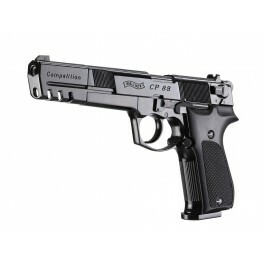 The CP99 is a very popular .177 pellet CO2 air pistol. 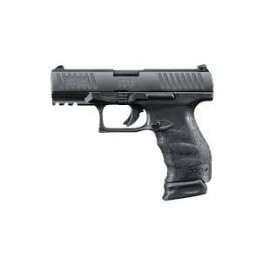 It includes 2 x 8 shot magazines and has a plastic polymer grip and metal top..